Devising meaningful consumer strategy & value proposition that nurtures life & sustenance is the basic philosophy purposeful organizations live by. Outpacing traditional business models, these organizations seek to embed higher purpose to their existence, doing away with brutal profit-making & focusing on their greatest core strengths: employees & consumers. For such reasons, purpose-driven organizations are moving away from quantitative segmentation & creating better consumer experiences with products that are not only effective but also kind to their customer’s health & wellbeing. Employee welfare is centered on positive work environments that seek to put people first regardless of the daily grind. Every opportunity has been seized to improve their day-to-day experiences at the workplace. Their charitable initiatives also echo this philosophy; most of them starting off as miniscule acts of compassion and transcending, over time, into life-altering events. These enterprises intend to create new paradigms in business, allowing their brands to do the talking, all the while championing campaigns that cherish freedom and the goodness of life. Their commitment to research and innovation to develop indispensable products/services reflect their success in terms of customer choice, making them game changers in an industry dictated by sales and profit. 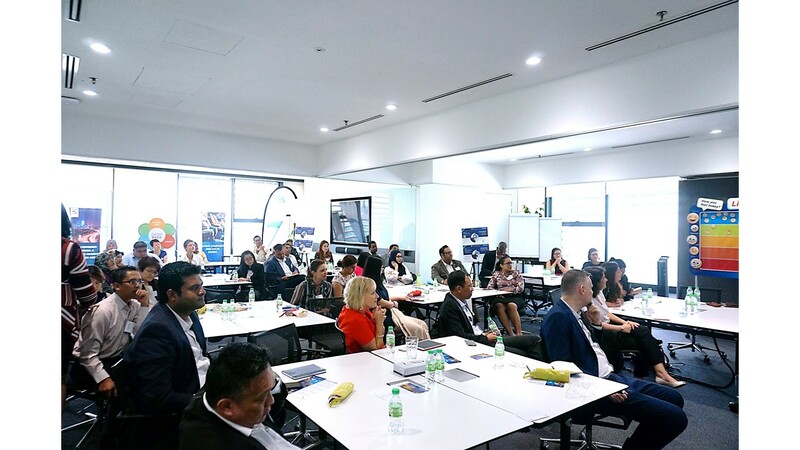 In light of this, a panel discussion titled ‘Navigating the Future – Purposeful Organizations, Leadership & Talents’ was organized on 8th November 2018 by Propay Partners, a leading HR & Payroll company in ASEAN. 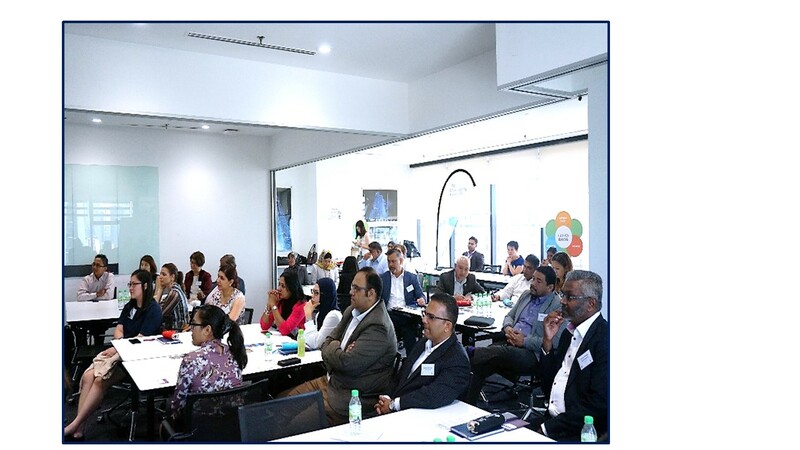 Hosted by pharmaceutical multinational Novo Nordisk at their office in KL Sentral, leading corporate heads & HR practitioners reflected how value-based organizations were scaling both merit & margins compared to their for-profit competitors. “In the last few years, we have seen the emergence of various business models but at the same time seen the disappearance of values. Today, the purchasing power is shifting more towards the consumers, who expect brands to deliver beyond products. Consumers want to know what they are doing for the environment and so forth. When brands go the extra mile, we find ourselves asking if it’s an application strategy or a survival strategy. 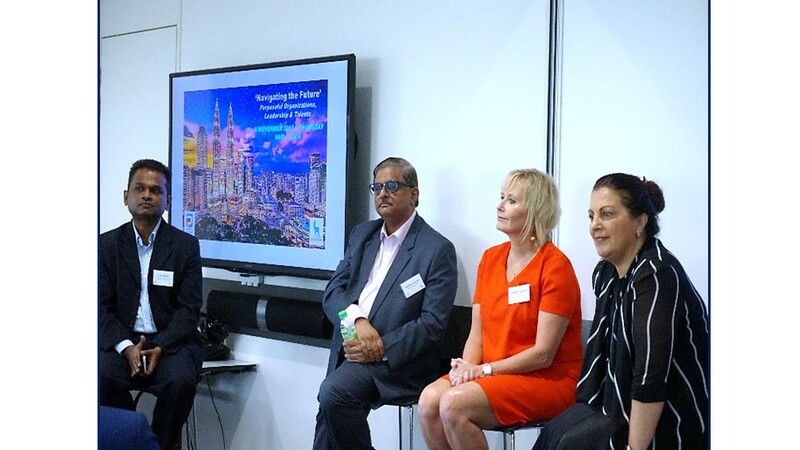 At the end of it, only socially & environmentally conscious businesses thrive,” noted panel moderator & Managing Partner, IRC Global Executive Search Partners/CnetG Asia, P Raj Kumar. As CEO of activpayroll, one of the world’s largest payroll advisories, Alison Sellar believes giving employees ‘purpose’ creates a world of difference. Sellar, who began activpayroll back in 2001 in Scotland, now leads the company that services over 1000 clients in 140 countries. Honoured with an OBE by HM Queen Elizabeth II this year, Sellar (who also happens to be a certified ski instructor) believes that there is nothing one can’t achieve with the right attitude. “Purpose is all about having a vision & bringing it to life through values. In this respect, it means training & developing people while delivering excellent, personal service to customers,” said Sellar. Her company's purpose, she stressed, fell in line with its mission only because of her employees. This strategy aided in bridging purpose with business results. “By listening to customers & taking an active interest in them, we deliver timely & accurate service. Customer satisfaction is vital to us. We have a positive & open working culture, not one based on micro-management or death by KPIs,” she said. She asserted that communication was the absolute key which made people feel valued & part of the team, encouraging them to perform better. It also kept the activpayroll global offices connected even though they were miles apart. “Whenever my clients call, they say my team is passionate & high on energy. That’s because we value them. Everyone counts in a business. Your people are your customers,” she added. As someone who loves adventure sports & adopts a healthy lifestyle, Sellar explained that her intention is to give back to community. ‘Pennies for Promise’, her company’s charity scheme allows employees to make contributions from their net pay to a charity of their choice. “Whenever I open a new office globally, I get the team involved in charities & team building. I help them reach out to other people because that’s what really matters,” she said. Patrizia Fogheri defines herself as a loyal Novo Nordisk employee who’s stood by the company these last 20 years. Fogheri, the People & Organization Director of Business Area Oceania & South–East Asia, no more believes in the traditional HR framework where people are thrust in a box. Quoting Lucy Adams, well-known speaker & former BBC HR director, Fogheri reiterated that time had come to focus on the individual behind the desk. “How many times have we asked our employees how they are doing? Sometimes, that’s a more effectual survey than the laborious one we do at the end of every year. We’re here to change lives. That is our mission. And it’s not just about changing employees’ lives. I would love to hear my employees say the same – that they work to change other people’s lives,” she said. The Danish pharmaceutical MNC chiefly produces insulin to help people living with long-term diabetes. Its ‘Access to Insulin Commitment’ guarantees low-cost insulin for people in Least Developed Countries at a ceiling price of just $4 per vial (around 12 cents per day). This apart, the company also owns the world’s first all diabetes professional cycling team where all athletes compete with Type 1 diabetes. 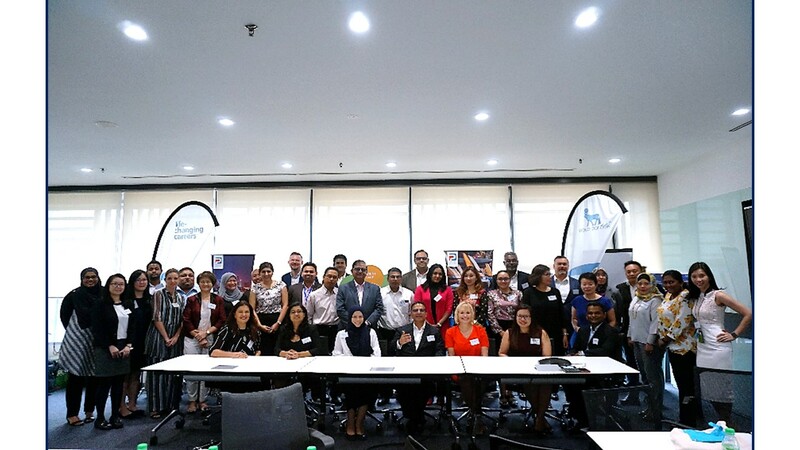 Sebnem Avsar Tuna, Novo Nordisk’s Corporate Vice President, Business Area Oceania & South East Asia who was also present at the event, emphasized the company’s responsibility to the 24 million people in BAOS who rely on them for insulin. “Globally, every 8 seconds a person with diabetes dies. We know we have to continue the supply of this life-saving drug. For us, changing diabetes means changing the lives of people,” she said. “The old dictionary based on direction, control, structure & efficiency does not help anymore. We need to build a values-based organization where the psycho-social factors influencing human-being are known & nurtured. We need to connect people to the purpose & be mindful of the negative impact of “toxic” employees,” Fogheri added. Connecting Dots CEO Bharat Avalani shared his journey searching for his Ikigai – a reason for being. As a former Regional Marketing Director at Unilever, Avalani spent 25 memorable years connecting the multinational’s brand purpose with its consumers -- some living by the rugged foothills of the Himalayas and others from the sleek metros of the Middle East. “A Havas research tells us that if 76% brands were to disappear today, no one would notice it.That means only the remaining 24% which have a purpose are likely to be missed. In the 1920s, the average lifespan of successful companies was 67 years, however, according to 2017 data, this figure plummets to 16,” he explained. Avalani pointed out how Unilever embedded ‘purpose’ in its Sunlight bar soap. The brand revolutionized the way people looked at hygiene and even the concept of soap itself. Such was the case with Planta margarine, that aimed at giving school-going children a healthy start to the day. The world of detergent was a low interest category where preference and loyalty were deeply rational, and brands competed on highly rational claims. Today the brand speaks the same language in over 80 countries. As a result, it has grown from a 250 mil Euro brand before “Dirt is Good” to over a 4 bil Euro brand in 10 years after “Dirt is Good”. It’s a staggering 1,500% increase in 10 years. It is now the No 1 fabric cleaning brand in the world and Unilever’s biggest brand. “It’s simple. Just put people before profit !” he summed.